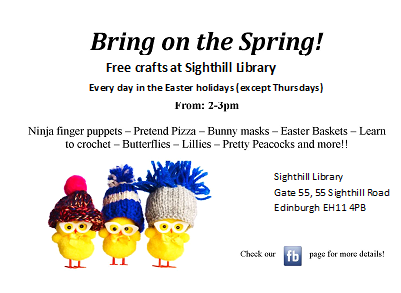 Sighthill Library will be holding a series of craft based events every day during the Easter holidays. The events will run every day, except Thursdays, from 2.00pm-3.00pm. For more information check Sighthill Library’s Facebook page.